Please read this installation guide carefully. For more detailed information about installing SeisRoX, please download the SeisRoX Manual from the documentation page. SeisRoX comes as an executable installer. Run the installer to install SeisRoX. Follow the instructions in the installer. SeisRoX comes as a gzipped compressed tar file. 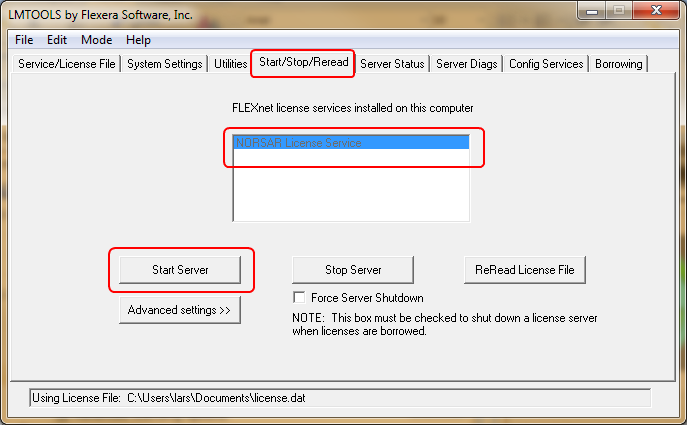 To setup a license server, you can use the provided LMTOOLS application (from Flexera Software.) Start LMTOOLS from the NORSAR program group in the Windows start menu. 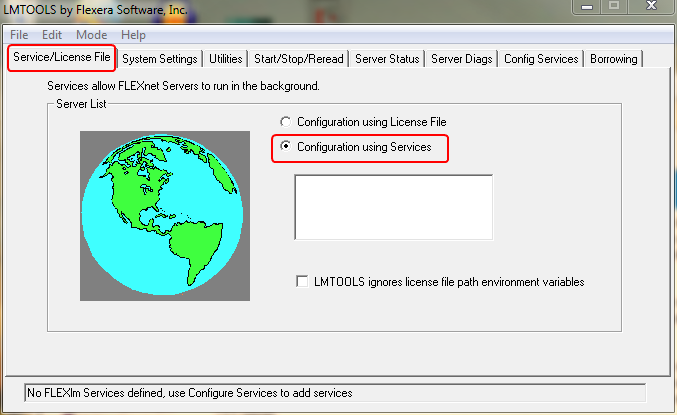 Start by selecting the Service/License File tab and select Configuration using Services. Select the Config Services tab. In the Service Name field, type in a name for your new license server service, for example NORSAR License Server. Then select the path to the lmgrd.exe file (you can find this file where the NORSAR Software was installed, usually in Program Files;NORSAR;<Software product>;flexlm/bin/win32), the license file itself (license.dat) and finally type in a path and name for a log file. The log file will be created automatically when starting the server. Check the Use Services checkbox and the Start Server at Power Up checkbox. Click Save Service to save your setup. Select the Start/Stop/Reread tab. 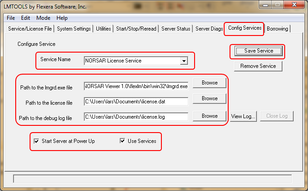 If you have several license server services defined, select NORSAR License Server service and click the Start Server button. 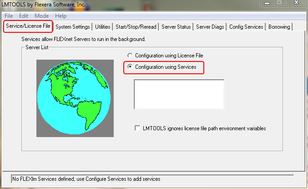 To view messages from the license server, select the Config Services tab and click the View Log... button. When you receive new license files from NORSAR and already have a running license server service, you can just replace you existing license file and click the ReRead License File button in the Start/Stop/Reread tab. When starting SeisRoX without a valid license you will be presented with a dialog where you can enter the name of your license server. You can also select the license file you used to setup the license server and the license server name will be read from the license file. Please see the manual or online help and the FlexNet License Administration Guide for more information about licensing. The License Administration Guide can be downloaded here. When starting without a valid license you will be presented with a dialog where you can enter the name(s) of your license server(s) (network license) or select a license file. If you are using a network license, your system administrator will be able to tell you the name(s) of the server(s) you should use and which port to use. The license file can either be a stand-alone node-locked license file or a network license file. In case of a network license file, the selected license file will only be used to tell the system which license server to use. Note that the script must be started from the host defined by the SERVER line in the license file. We encourage you to update the appropriate boot files so that the license manager process is started at boot time. Please note: For running the license server on a Linux system, FlexNet requires that LSB (Linux Standard Base) modules 2.0 or higher are installed. If these are not installed, you will get a "command not found" error when trying to start the license server. You can use the command lsb_release -a to check if the required LSB is installed. If LSB is not installed, please use the package manager that comes with your Linux distribution to install it. Note: This is the installation guide for version 2.x of SeisRoX. SeisRoX is using SafeNet Sentinel RMS for licensing. A stand-alone/trial license does not use a license server. To use a stand-alone/trial license, simply select to use a stand-alone/trial license and select the file to use in the SeisRoX license dialog on startup. Note: To use a stand-alone/trial license, the system running SeisRoX needs to be initialized first. On Windows this is automatically done by the installer. On Linux you must first run the licenseinit script located in the directory where you installed SeisRoX. The script must be run as root user. Important: The license server setup must be done as administrator. The server setup files are located in "<SeisRoX_install_path>\SentinelRMS\server_setup\"
Run the license server setup.exe file. This will automatically start a license server service. If you already have a running license server, skip this step. Use the provided Sentinel RMS License Manager utility to add the license file to the server. You can find the Sentinel RMS License Manager utility in the NORSAR program group in the Windows start menu after installing SeisRoX. Important: Starting and stopping the license server must be done as root user. Copy the license file to <SeisRoX_install_path>/license/ and call it "nsm.lic". Start the license server with the "licserv" script located in the <SeisRoX_install_path>. "licserv start" to start the server. "licserv stop" to stop the server. "licserv reread" to add a new license file to an already running server. 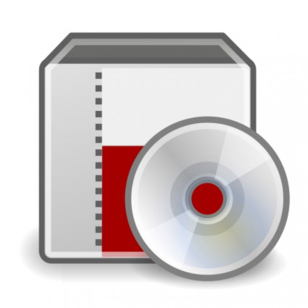 A stand-alone license file needs to be locked with a locking code to the computer running SeisRoX and a network license file needs to be locked with a locking code to a server. To get the locking code for a stand-alone machine, start SeisRoX and click the Locking code... button in the license selection window. On Linux you can also run the lockingcode utility found in the SeisRoX installation directory. On Windows you can use License Locking Code found in the NORSAR->SeisRoX 2.x program group found in the Windows start menu. To get the locking code for a Linux license server machine, copy the lockingcode utility found in the SeisRoX installation directory to the license server and run it. To get the locking code for a Windows license server machine, copy the LicenseLockingCode.exe file found in <SeisRoX_install_directory>\SentinelRMS\util\ (usually C:\Program Files\NORSAR\SeisRoX 2.x\SentinelRMS\util\) to the license server machine and run it. The locking code utilities can also be downloaded from the Sentinel RMS utility downloads page. Trial licenses are usually not locked to a specific machine. 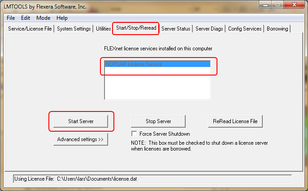 To add and remove license features, use the provided Sentinel RMS License Manager utility. You can find this in the NORSAR program group in the Windows start menu. To add and remove license features to a running server, use the command lslic. Note that you can also use the Sentinel RMS License Manager utility running on a Windows computer to manage Linux servers. Please see the manual or online help and the Sentinel RMS System Administrator's Help for more information about licensing. The Administrator's Help is included in the SeisRoX installation, but can also be downloaded here. Note: This is the installation guide for version 1.x of SeisRoX. For more detailed information about installing SeisRoX, please download the SeisRoX Manual and License Guide / License Troubleshooting documents from the documentation page. SeisRoX is using FLEXlm for licensing. 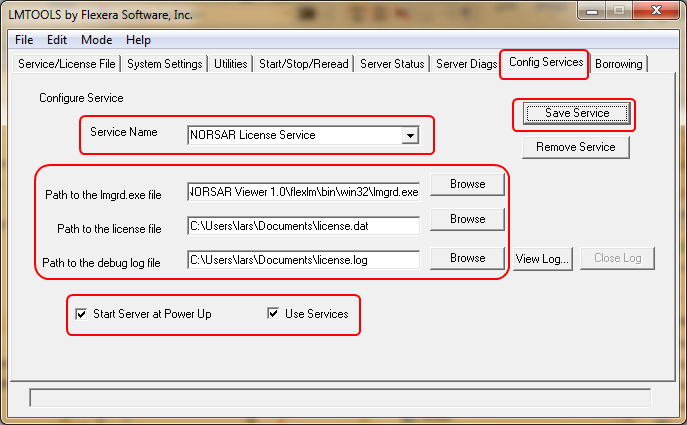 To setup a license server you can use the NORSAR FLEXlm Manager application that comes with SeisRoX. On Windows the NORSAR FLEXlm Manager can be started from the installer or from the NORSAR program group in the Start Menu. On Linux it can be started with the flexlmmanager script located in SeisRoX/<version>. On Windows the default location for the license file is your My Documents folder. On Linux the default location is SeisRoX/<version>/flexlm/license and call it nsm.lic. Copy your license file to the appropriate location. The FLEXlm daemon looks for the license file in an environment variable called NORSARLMD_LICENSE_FILE. On Windows this variable is set by the installer or you can choose to set it in the NORSAR FLEXlm Manager. On Linux the seisrox startup script sets the NORSARLMD_LICENSE_FILE variable to this location. If you choose a different path and/or name for your license file, you will have to edit the startup script and change the NORSARLMD_LICENSE_FILE variable. See the SeisRoX Manual for more information about licensing.